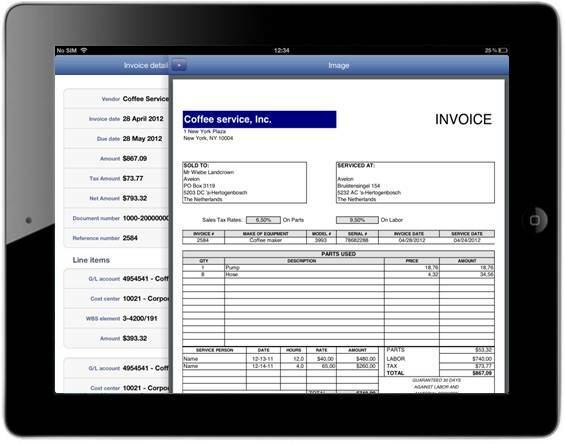 What is the Mobile Invoice Approval App? With the Mobile Invoice Approval App you can approve your SAP invoices efficiently, while on the go. 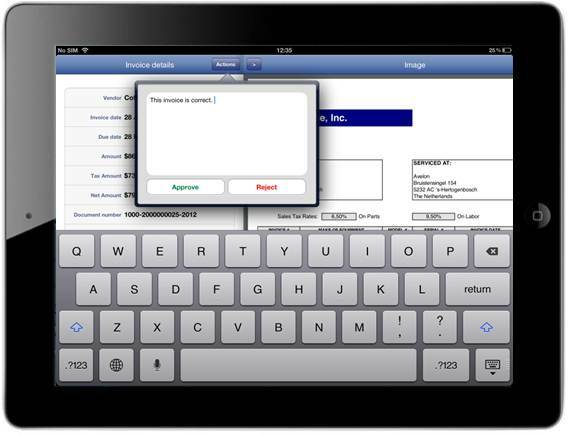 Anytime, anyplace, anywhere you have direct access to the invoices assigned to you for approval. The underlying original documents (i.e. scanned invoices or e-invoices) can be viewed in the app as well as the corresponding details of the registered invoice in SAP. The Mobile Invoice Approval App removes the limitations that come with approving invoices via regular desktop applications. The app requires an installation of SAP Mobile Platform (version 2.1 and higher) that is connected to an SAP system (version 4.7 and higher) which includes an SAP Business Workflow for invoice approval. 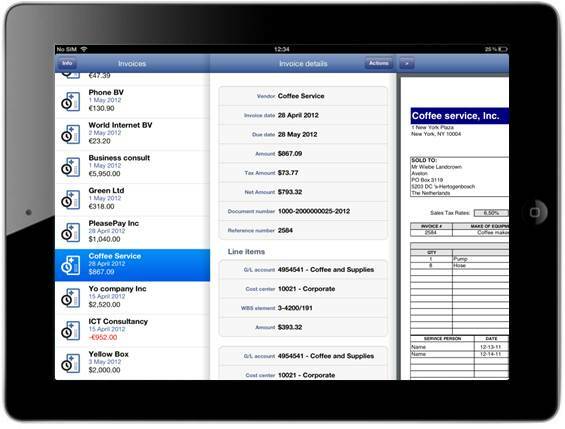 The Mobile Invoice Approval App works out-of-the-box for SAP Invoice Management by OpenText (also known as OpenText Vendor Invoice Management for SAP Solutions or SIM) and the Avelon digital invoice processing solution. Custom SAP workflow solutions are supported through additional configuration in the SAP backend systems. 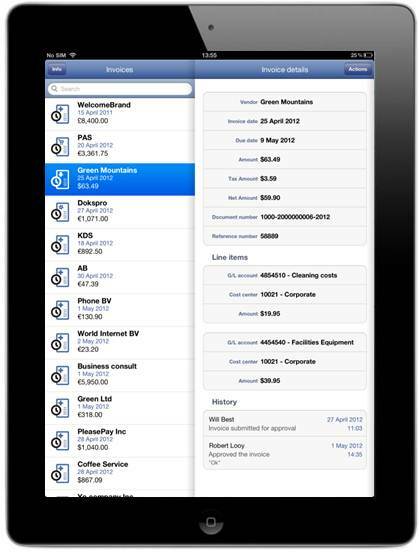 The Mobile Invoice Approval App contains several features which provide you with all the necessary data for approving the invoice. 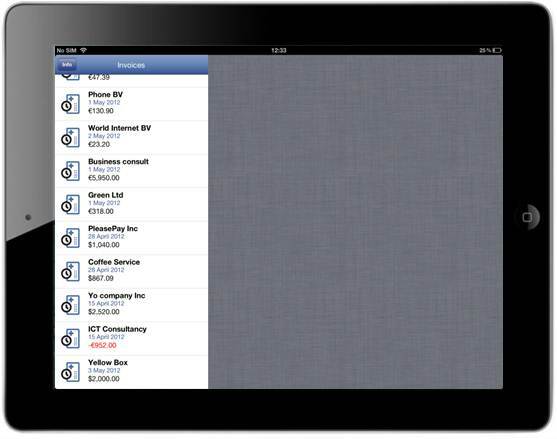 With the Mobile Invoice Approval App you have a direct overview of all the invoices assigned to you. The icons in front of the invoices show you if the invoice is to be approved or are already approved/rejected. Info about how the invoice is registered in SAP is shown by selecting an invoice from your list. When you have a credit memo in your list, the amount of this invoice is shown in red. Next to the SAP details, also the original document is available. It is possible to zoom-in/-out and drag the image to full screen. When you want to approve or reject the invoice you can simply call the pop-up via the “Actions” button. Here you can enter a comment and approve or reject the invoice. Refreshing the list of assigned invoices is done by sliding the list down, also known as “pull-to-refresh”. In case you want to search for a specific invoice in the list, you can use the search button. When you enter a query, the list only shows the invoices with the vendors that match your query. 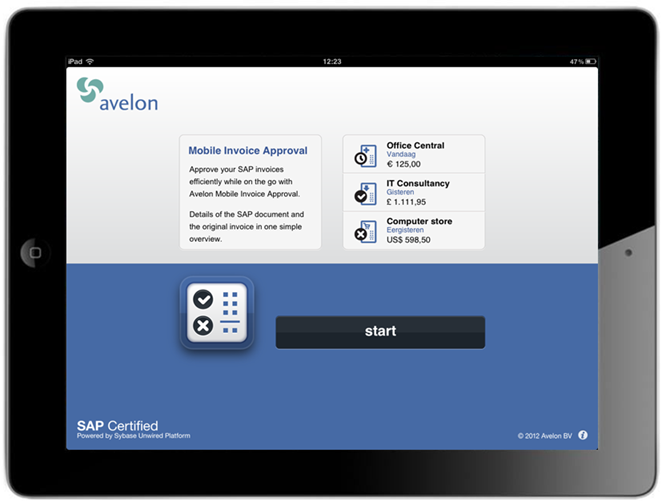 The Mobile Invoice Approval App is developed by Avelon B.V. Avelon is a company based in the Netherlands, which focusses on improving business processes by SAP Business Workflow and related SAP technologies. 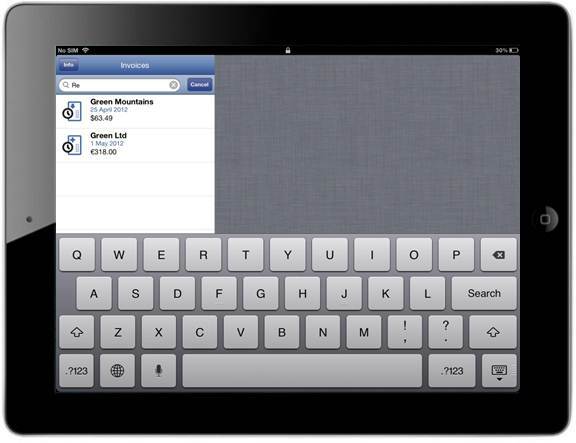 For information on how to deploy the Mobile Invoice Approval app in your organization, please contact us.